We continue in Reiki research all over the world. 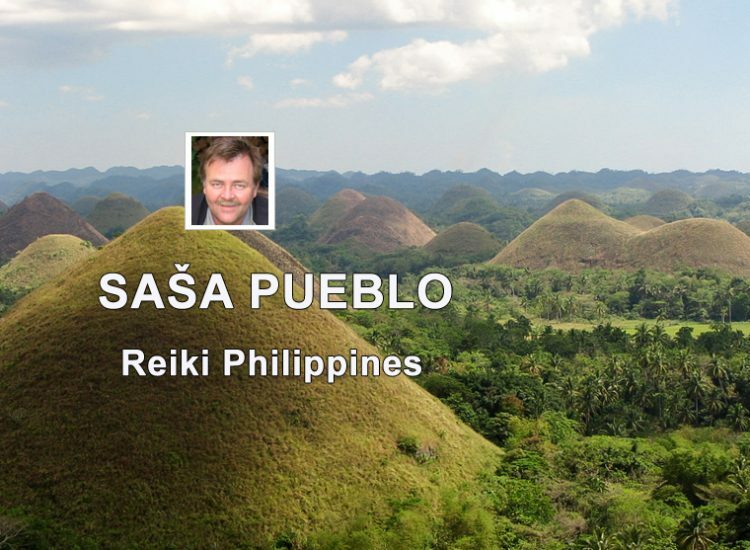 We again came back to Philippines and we have deepened our experience in applying this Reiki. In principle, we think that this system of Reiki treatments and therapies founded European spiritual individual who used a large meteorite for the treatment. This just out of curiosity. We have to remember for this kind of energetic healing that Philippines are located on the quarry of two tectonic plates and therefore volcanic activity here is particularly strong. Philippines are also well known for strong bones pathologies and extended bone tuberculosis. All this creates conditions for strong energy of healers. Reiki in Philippines is important as local therapists have pathological evidences of animal bones which create conditions for strong energy healing. Tubercular diseases of bones are beneficial for healing potential. Here is important another phenomenon which describes the evolutionary medicine – the ability of some individuals to have open kind of prehistoric bones inside of kind of human-animal bones. Prehistoric bones originate in embryonic development. Igneous Earth core itself and the presence of magma at surface of Philippines in a large number of volcanoes have created specific radiation activity. And that kind of radioactivity of local igneous rocks is imposed in bones of people who are living here and promotes the potential of domestic healers. It is known from medicine studies that human can store radioactive substances in bones in case of elevated radiation. This happens in humans when melting of iron ore. Such people also have specific energetic potentials in bones. Of course, the Philippines are Philippines and volcanoes are not melting ingots full of hot iron. It is good to know from medicine that bones contain inside cavities, large amounts of micro organelles – mitochondria. And those are classified as mitochondrial power plants and mitochondrial factories for the production of unique materials. The work of such organelles is slowed down and is blocked in disease conditions. Aging process without mercy gradually blocks the activity of these plants and factories. And so Philippine Reiki directs from bones of Philippine healer to bones of treated person and causes awakening of blocked organelles. And it is a powerful healing act. Interesting information is that girls at puberty produce in their bones extremely special bioenergy. You may verify this through oracular connection to bones of girls on top of their pubertal period. It is interesting and energetically strong connection to girls at puberty directly in Philippines. It’s a powerful combination of energy which is extraordinary. Especially specific topic is open prehistoric structures in bones of healers themselves. Everybody has these types of prehistoric bones, but in passive form. Phillipine healer has them active and his bones are able to produce bluish flowing bone plasma. He supports this also in bones of treated person. Volcanologists and people living around volcanoes are extremely grateful objects for own treatment or retreatment other individuals. Individuals living around volcanos and Philippine healers create between themselves something like magmatic structural fields which copy volcano flowing in the subsoil of our planet. They are able to renew such kind of energetic flows in ill individuals. Extraordinary Philippine healers are able to contact the core of our planet by their own energies and out of such energies create unique healing units in the form of characters or signs, maybe Reiki signs. Philippine healers form in the body of treated person the flow of particles in bluish color. Such objects can be named blue and red worms. They can be perceived in persons who were treated by Philippine healers. Some says that you can move such colorful objects nearby yourself. I guess it’s possible. Stigmatized individuals or individuals who damage their own body by cutting yourself on purpose also belong to Philippine category. Such persons can also create special medicinal and healing energy objects. We can also talk about stigmatized people. This is inability to heal wounds caused on the body from medical point of view. Bones of the pelvic floor is a place where every Reiki healer and Philippine healer can enter into internal bone system. And the person itself can meditate inside pelvic bones and he can heal own bones and periosteum. Turtle shell is also useful source of potent healing bioenergy. As taking of power from live turtles and their shells. Something similar happens with energetic connection to the mailbox of live coral and variety of shellfish. Philippines healers themselves know that this is no real operation. Only foreigners think that this is operation. In fact this is powerful ritual which gives rise to the formation of so called white-gold plasma with extraordinary effects on human bones and overall health. And I would appreciate if you wouldn´t understand their rituals as some kind of surgery. They most frequently make it in the navel area. If you want to become Philippine healer then is reasonable to get consecrated by Philippine healer himself. They like to consecrate you to their art. But even then it’s about the amount of healing interventions repeats in infinite sequence. On one side you will find mainly Philippine healers who give their power to the detriment of their health. But that’s their decision. Sasa Pueblo is not a supporter of such harmful procedures. Sasa Pueblo does not treat with own energies, but he tries to create Reiki healing circle of people who are willing to collect this kind of treatment for sick person. That kind of collective therapy Reiki Circle gives particularly strong potential for healing the person. On the place is also another issue and that is Philippine treatment on the distance without presence of single individual. We’re talking here about remote healing at any distance within the planet Earth. Here, the therapist must learn the art of Reiki Circle collective energy. Appropriate power is gathered from many Philippine healers, this energy is transferred and processed. Then is necessary to bring such healing energies in the form of a colorful plasma into treated bones and so induce healing effects. You have to teach yourself this remote healing ability. Antonio C. Agpaoa is well known as Tony Agpaova. He was Philippine practicer of psychic surgery. The list of philippine healer. Addresses and contact information are changed in time and the accuracy of information can not be guaranteed. As poltergeist is called natural paranormal phenomenon which consists in the fact that in human settlements seemingly spontaneously move objects (such as furniture), there is the explosion (dishes, light bulbs), occur faults in wiring etc. The Philippines is an island country in southeast Asia whose capital is Manila. It is located on 7107 islands in western Pacific Ocean. Philippines does not share the border with any state. Firths detach Philippines from Taiwan on north, on south-west from Malaysia and Indonesia on south. Volcano Babuyan Claro is located on Babuyan Island, northerly from the main island Luzon on Philippines. This volcano is clasified as one of active volcanos in the country with last confirmed eruption in year 1860.